Dusty Rose is an exceptionally neutral sun-tan color with no shimmer or iridescence. discovered Mineral Hygienics. Thank goodness their formula is NOT made with Bismuth Oxychloride. I received a kit for my review and I completely adore Mineral Hygienics. I am legitimately back on the mineral make-up bandwagon. I love the light as air feel and the complete coverage provided by Mineral Hygienics. I have been using this daily for almost a full month and have yet to experience any break-outs or hitches with this amazing formula. I sincerely recommend that mineral make-up users take a look at Mineral Hygienics. Their prices are very affordable and their products are absolutely remarkable!!! Hmm.... I think this is my only hope! After searching endlessly for the right product for my acne-prone skin... whadya know! Mineral Hygienics to the rescue! This product is remarkable at hiding redness and the best part is that I only use a tiny bit! I Swear!! Not even cold water does the trick. Unbelievable. I've had mild acne for over 2 years now. Medication has helped to an extent, but the problem I was facing was the redness and a few spots which I hated to see on my face. Made me look like a spotty tomato!! This product just blows me away. Thanks M.H. I actually hate makeup, but you guys have made me love yours!!! I hired an independent makeup artist for my wedding day. I had never heard of Mineral Hygienics before, but my makeup artist told me how natural and wonderful their products are. One look in the mirror was all I needed! My skin looked great and I felt beautiful all day! I loved how easy and quick it was for me to apply and how little you need to use to get perfect results. I am not very experienced with makeup, I was never happy with the results of traditional products I purchased at the store so I mostly gave up on it and only used it occasionally, Mineral Hygienics has made a believer out of me, I can actually wear makeup and look nice. I was so please with how quick I was able to "do up" my face and how well it looked all day. I was really please that it didn't make me look like my face was caked with makeup that just never really matched my skin tone and never gave me that natural look I was looking for. time around and hopefully it was just a fluke because I am so thrilled with what I have now. Thank you, Mineral Hygienics! Well, first off I was surprised when my order arrived a few days after buying - to Ireland! 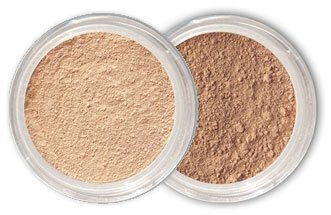 I have very sensitive, acne-prone skin & the only make-up I could use without fear of break-outs was Bare minerals. I'd learned to get used to the dry, itchy feeling that the BE bismuth oxychloride left me with, but the Mineral Hygienics is a whole new ballgame. I'm very happy with the natural coverage it gives me....& best of all I love that I can't feel the make-up on. My face feels very soft, all I can feel is the comfort of my moisturizer. I'm a convert for life!! I'm already recommending it left right & center! lady raving to me about how great my complexion was. I sound like a sales rep because I always say, "It's this amazing makeup!!" I love using mineral makeup, but living in TX, found that other minerals would make my face itch like crazy in the summertime heat. I just got my mineral hygienics today (August 19, 101 degrees) and tried it out. I am thrilled to say "no itching" and the coverage is great. I have very fair skin and with other minerals containing bismuth would get (in addition to the itching & irritation) redness that was only exacerbated by the minerals. The coverage with Mineral Hygienics is wonderful (no redness), without being heavy looking, even after being out in the heat. I will gladly recommend Mineral Hygienics to anyone!